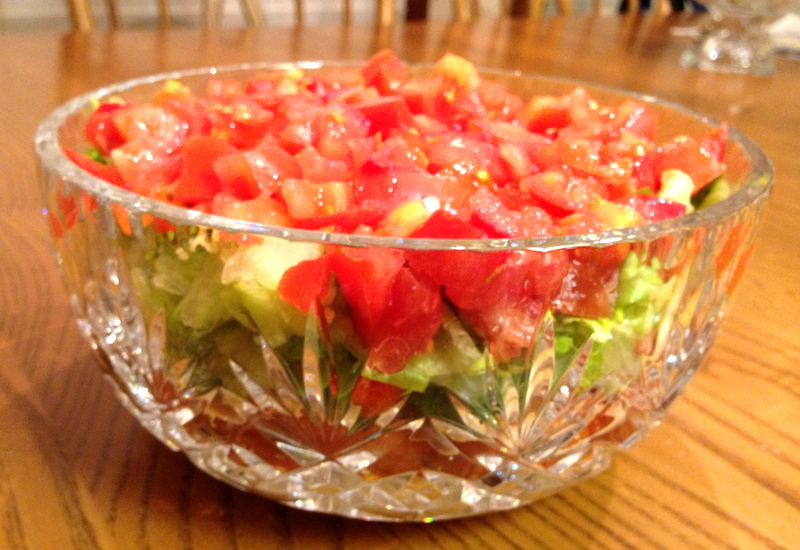 This is a trusty favorite recipe that we have been making in our family for many years. In fact this is our traditional Christmas Eve dinner. My Dad used to be surprised every year that all we were having for dinner was nachos, but they are so filling and delicious they are really all you need! The great thing about this recipe is that you can literally mix it up with whatever you have on hand, and put it together in whatever order you wish. I think it would also be great with avocado instead of the cream cheese. So if you don’t eat cheese simply leave out the cream cheese and shredded cheese and use avocado instead. Either mix it up as guacamole or include it plain or mixed with the taco seasoning. Any of these methods would be equally delicious. Another favorite tip of mine is to make your own nacho chips by cutting tortillas in to chip-size pieces and baking them. 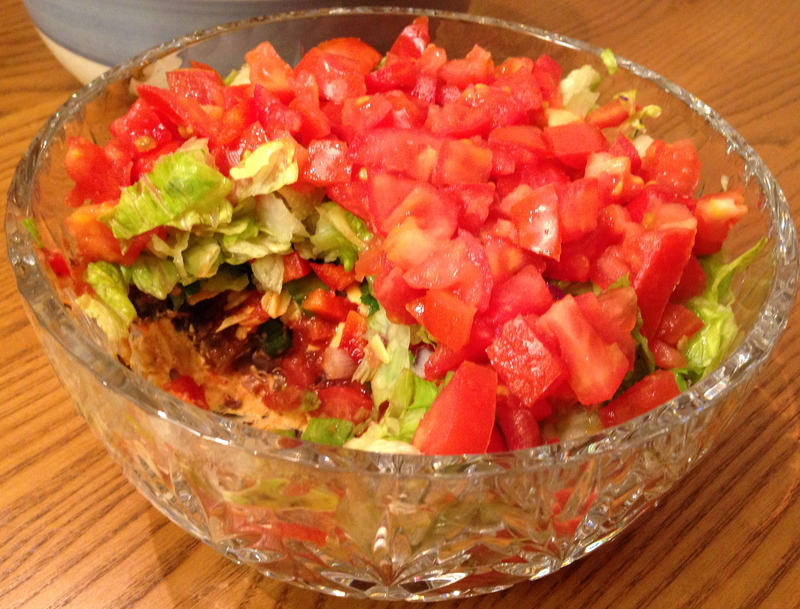 This is a great alternative to salty, high-fat nacho chips and they are really easy to make! 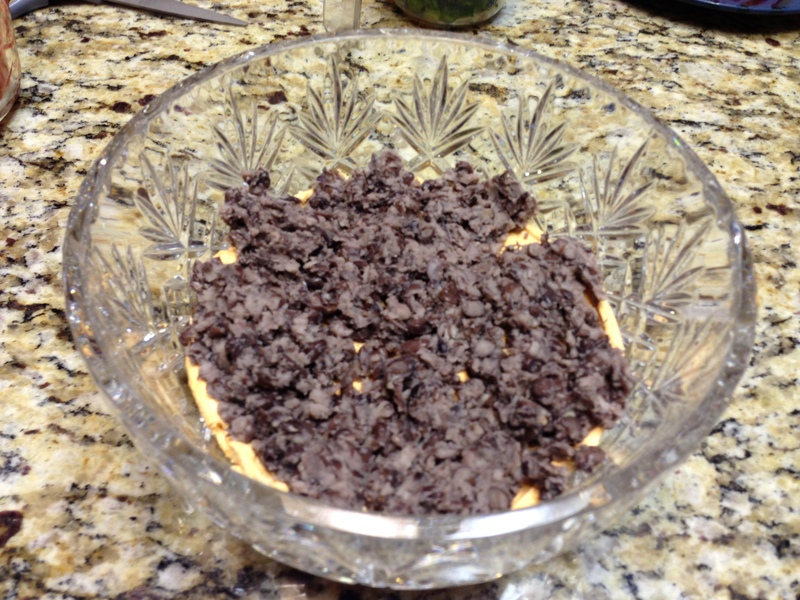 Mix together cream cheese and taco seasoning. Spread in bottom of bowl, then add black beans. 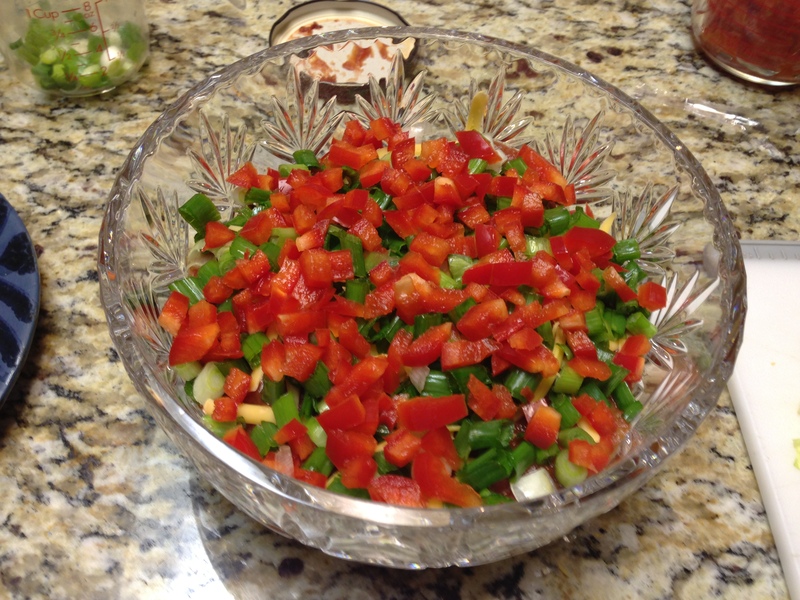 Add salsa, green onions, red peppers. Then add lettuce and tomatoes. Serve with nacho chips! 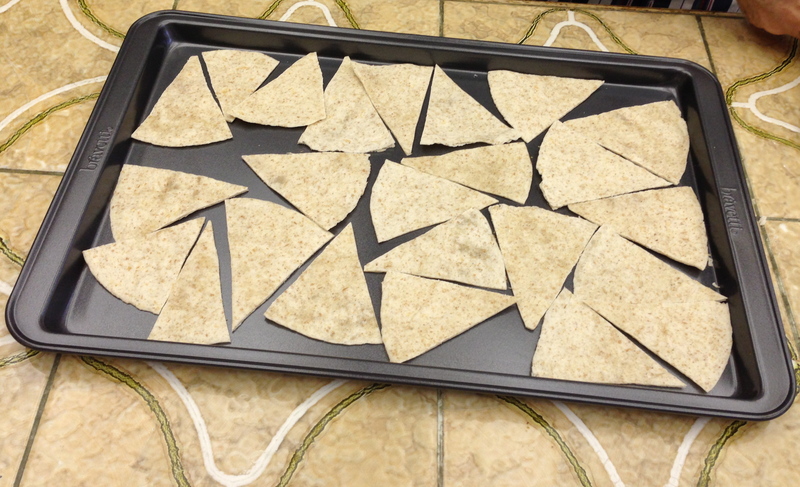 To make your own nacho chips, cut your tortillas (I like to use whole wheat tortillas) into chip-size pieces and bake them at 300 degrees until they are crispy.